Chord Company Crimson Vee 3 review | What Hi-Fi? Chord’s CrimsonPlus was a standing favourite of ours. It was beaten in our 2012 Awards by the Atlas Element Integra, and the Vee 3 is the company’s response. A one-word review would describe it as ‘easygoing’. This being a 150-word, review, though, we can add ‘rich’, ‘sweet’ and ‘restrained’ to that. The Vee 3 seems to convey less detail than the Atlas Element Integra; its delivery isn’t quite as energetic, either. The perky, eager-to-please quality that we like so much in the Award-winner is more of a quietly confident affirmative here. There’s nothing wrong with its midrange performance. It’s detailed and engaging. Treble is nice, too, conveying the metallic sizzle of cymbals well. 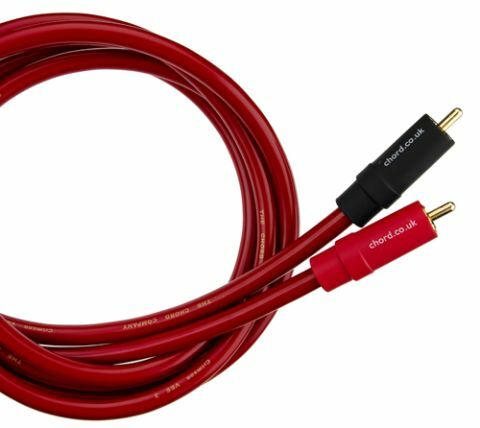 It’s in the bass that this cable loses its fifth star. It’s too restrained for us; too lacking in punch and slap. A more solid performance here would do wonders. The Vee 3 is all about conveying a smooth, sweet and engaging sound. If that suits your needs – and those of your system – then it’s a great option.